You know instantly when you're docked in Naples. 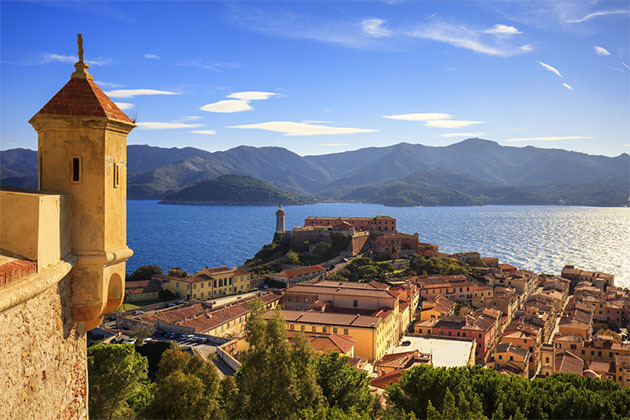 First of all, where else is there a Norman castle overlooking the port, a royal palace above the castle and a fortress, Castel Sant'Elmo, right on the top of the hillside overlooking them all? But beyond these historic fortifications, there is the unmistakable shape of Vesuvius. Very few volcanoes look more like those of your imagination than Vesuvius. Amazingly, suburbs climb up its flanks; if Vesuvius explodes again, 600,000 people will have to be evacuated from the city. Over the centuries, Naples was ruled by many European families. You'll see some of them represented by statues on the facade on Palazzo Reale: Charles V of the Hapsburgs, Charles III of the Bourbons, Joseph Murat of the Bonaparte family and finally Victor Emmanuel II of the House of Savoy who became king of Italy in 1861. Unfortunately, with the Italian capital moving to Turin, then Florence and finally Rome, Naples lost much of its importance. A civic decline set in during the 19th century, and the city has yet to recover. The historic center still has far too many boarded-up palazzos. The city is home to architectural highpoints -- the Gallerias Principe di Napoli and Umberto II, the royal palaces, churches and former convents -- but there are also some unfortunate 1970's-style apartment blocks that wreck the view up to Vesuvius or down to the sea. This is a city of broad corsos (avenues) as well as narrow alleyways. Judging by the gesticulations of those who drive around its streets, it's also a very passionate city. Naples is unmistakably less self-conscious than Rome or Florence and more real than Venice. The port of Naples serves as a gateway to key destinations -- Pompeii, Sorrento, Ravello, Positano, Capri and Ischia -- but it is also a city to be enjoyed in its own right. Take a deep breath, plunge in and enjoy. Most ships berth at Stazione Marittima, which is centrally located just below Castel Nuovo and ideal if you plan to take the hydrofoil to Capri, Ischia or Sorrento. You can walk right into town from there and be at Piazza del Plebiscito in a few minutes. On busy days, ships also dock at Molo Pisacane to the east of Stazione Marittima, and shuttle buses are available to transfer passengers to Galleria del Mare inside the Stazione Marittima. Galleria del Mare/Stazione Marittima is the distinctive 1930's port building that was extensively refurbished and reopened in 2012. As well as functioning as the terminal building, it also contains 52 shops. 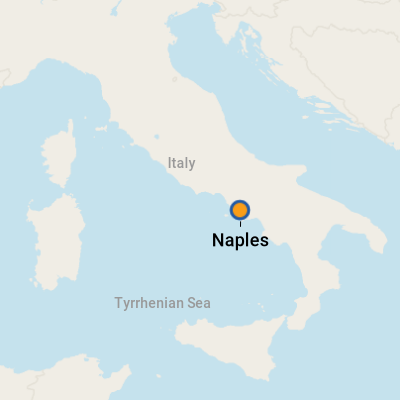 Naples owns a bad reputation for pickpockets and muggers. In fact, it is no worse than many European cities, but there are less-safe areas. 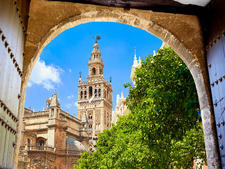 When exploring the Santa Lucia district or shopping on Via Toledo, you should exercise normal care -- do not put your camera down, leave your handbag open or flash your Rolex and you will be fine. The Centro Storico (historic center) is more bohemian and less predictable. As this is where you find the National Archaeological Museum, it should not be avoided, but stick to the main streets. Beware of street vendors selling seemingly expensive goods (handbags, DVD's, cellphones) for knock-down prices on white sheets laid out on the pavement. You might get a bargain price on your faux Gucci goods, but you and the vendor may be arrested if the police swoop. Buying from these unlicensed vendors is illegal. Usually, they work in teams with a lookout, and the moment the police arrive, everything is swept up in the white sheet, and the vendors leg it. On Foot: Naples is famous for its lack of traffic lights and its macho style of motoring. The best way to get around is on foot, but be careful when crossing roads. Cars tend to drive around you rather than stop at crossings (which are marked in white on the road). Fortunately, much of the center of Naples has been pedestrianized since the early 2000's. By Taxi: Plenty of taxis line up at the port, but make sure you negotiate the price or insist that the meter is running before setting off. Reliable local companies include: Radio Taxi Free (+39 081 5515151), Radio Taxi La Partenope (+39 081 0101), Radio Taxi Cotana (+39 081 5707070), Radio Taxi Napoli (+39 081 5564444) and Consortaxi (+39 081 202020). By Public Transit: A new Metro system will make a huge difference when it is completed, but every time excavators have moved in, a new important archaeological site has been found, which stops the work. It should be functioning by 2014. Beyond the city limits, public transportation in the form of trains and hydrofoils is convenient and efficient. You can be in Rome by train in 75 minutes. The hydrofoil is a quick way to reach the islands of Capri and Ischia or the charming seaside city of Sorrento. To book, call +39 081 497 22 22/38. 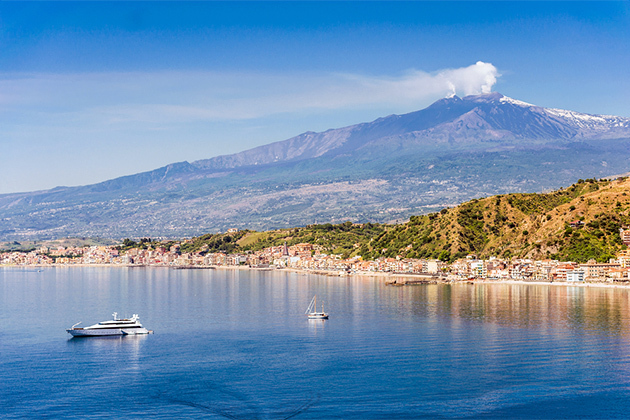 If you're venturing beyond the city, though, Naples is one of those places where it really pays to take your ship's shore excursion, just for ease of transportation if nothing else. Car hire is not recommended because of the behavior of other drivers in Naples, and the farther you get along the delightful Amalfi coast, the slower, steeper and more winding the roads get. The currency is the euro; for the latest exchange rate, visit www.xe.com and www.oanda.com. There are plenty of ATM machines and exchange bureaus, both at the port and in town. Via Santa Brigita, which begins just above Castel Nuovo, has a lot of banks with cash machines. If you are visiting Pompeii, you'll find ATM's very close to the ticket office. On a hot day, you'll definitely want euros on hand for a gelato, a bottle of water or a refreshing lemon granita. Italian is the primary language spoken; English is neither widely spoken nor easily understood, except in major tourist areas. If you want to know whether the person you're speaking to will converse in English ask, "Parliamo Inglese?" It's always appreciated if you ask. Naples is famous for its of three classic Italian staples: pizza, pasta and pomodoro (tomatoes). Its residents also enjoy great seafood from the Bay of Naples. Although there are some very expensive restaurants in the city, Neapolitan cuisine is essentially peasant food in origin. Vegetables are served as antipasti, and desserts consist of basic dishes like baba (a small cake soaked in a liquor like rum), sfogliatelle (filled pastries in the shape of a shell) and zeppole (donuts). Mozzarella made with buffalo milk is the best of the local cheeses. Along the waterfront by Castel dell'Ova and just across the road from Grand Hotel Vesuvio are a cluster of excellent seafood restaurants around what was once a harbor for fishing boats. Try Zi Teresa (Via Borgo Marinari 1; +39 081 764 2565; closed Mondays) with its great view of the Castel dell'Ova (so named because the poet Virgil is supposed to have buried an egg underneath it). La Scialua (Borgo Marinari Banchina 1; +39 081 764 5333; closed Mondays) and Ristorante Circo (Borgo Marinari 29/30; +39 081 764 6006; closed Wednesdays for lunch but open for dinner) are equally good. For an aperitif, ask directions from any of these three to Nase Cane, a hole-in-the-wall bar that belongs to the descendants of the original Nase Cane, a Neapolitan fisherman with a very small nose, resembling a dog's snout (nase cane), hence his nickname and that of the bar. The Amalfi coastline southeast of Naples is famous for its hand-painted ceramics known as maiolica. You'll find some on sale in Naples, but the best shops are around Vietri and Amalfi. Limoncello is a favorite drink of the area. The strong Italian liqueur is derived from the bright, plump lemons that prosper in the southern part of the country. Actor Danny DeVito bought a lemon farm near Sorrento so he could produce his own. Bartenders have experimented with cocktails like the Limoncello Mojito.